How is your week going? 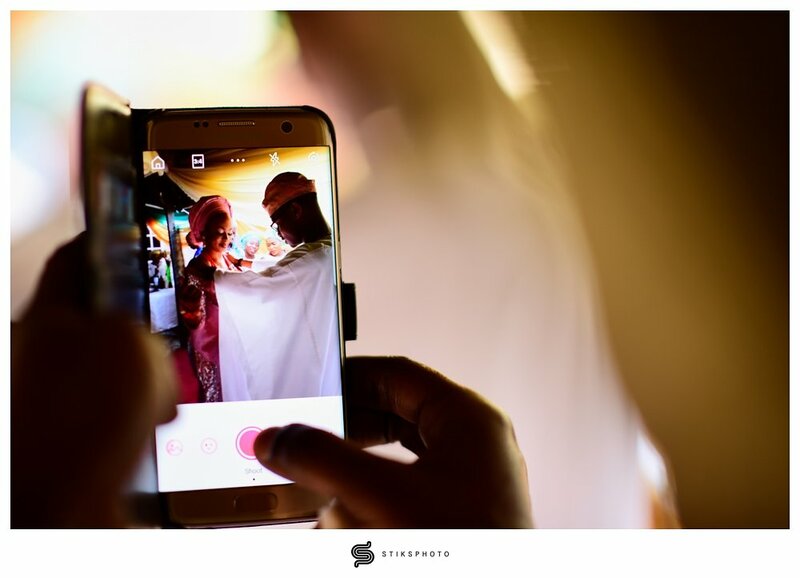 Been quite a busy one for us .. our to do list seems to be never ending ... but we keep on moving; here we have highlights of our trip to Ibadan, Oyo State in Southwestern Nigeria. We had the privilege of documenting the introduction ceremony of a long time friend Tosin and his heartrob Taiye. 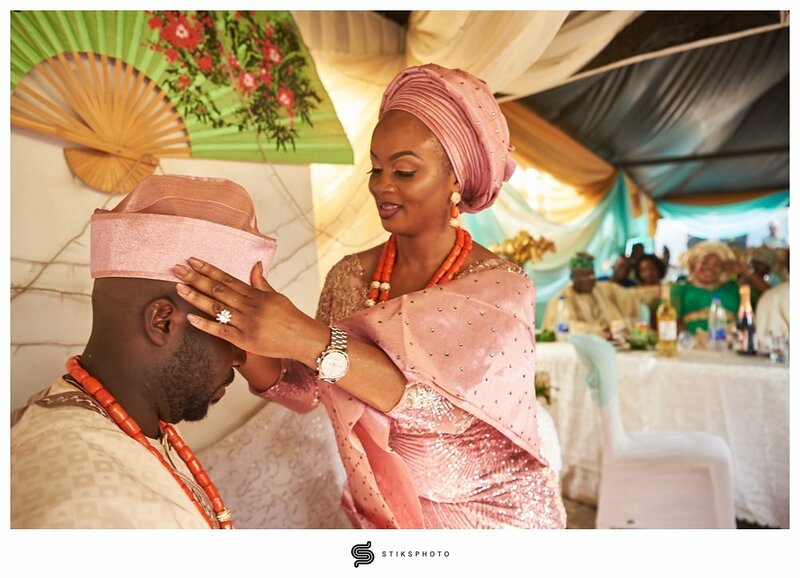 Introduction ceremonies mark this first step in the rites of marriage ceremonies in the culture of the Yoruba people of south western Nigeria. It provides an opportunity for families to meet and acquaint themselves and formally kick off the planning of the nuptials. Usually hosted by the family of the bride to be. The ceremony basically is a miniature version of a traditional Yoruba engagement ceremony with the provision of gifts from the groom and the customary greetings which require the groom to pay homage to his future in-laws by laying flat on the ground with his entourage. It is also followed by prayers, singing and dance. The ceremonies tend to be brief while still colorful and engaging. Taiye + Tosins's ceremony was lovely and intimate; attended by close family and friends. It was an opportunity for both families to get to know each other better. one of my favourite images from the ceremony was from the prayer segment of the proceedings. Taiye being a twin had her sibling around and as with Yoruba custom, he was required to pray for his sibling and bless her journey.